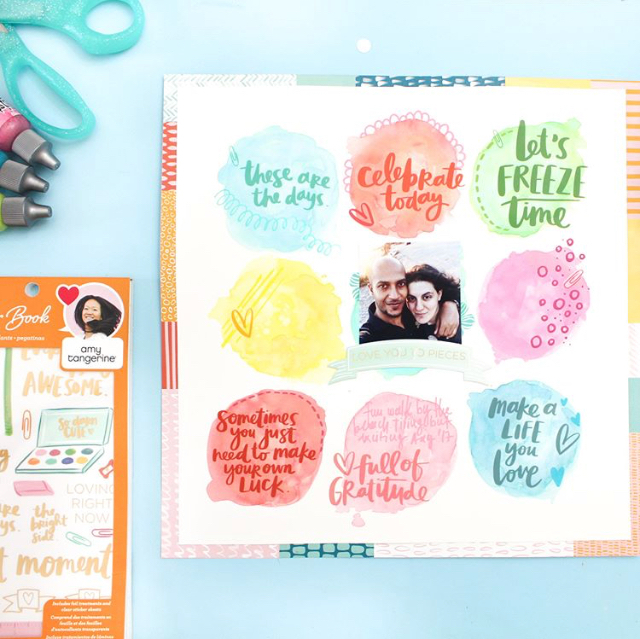 How clever is this layout by DT member Zinia? Love the watercolor circles (which she calls blobs) with our stickers from the Sticker Book on top of the fun splotches. Sometimes we over complicate things, but this is so inspiring and lovely. If you have a Hobby Lobby near you, be sure to go and grab yours today!